Sewing garments, bags and crafts since I was a child has been my main hobby most of my life. I took my first quilting class in 2002, and now quilting has become my passion. I love all aspects of the quilting process. 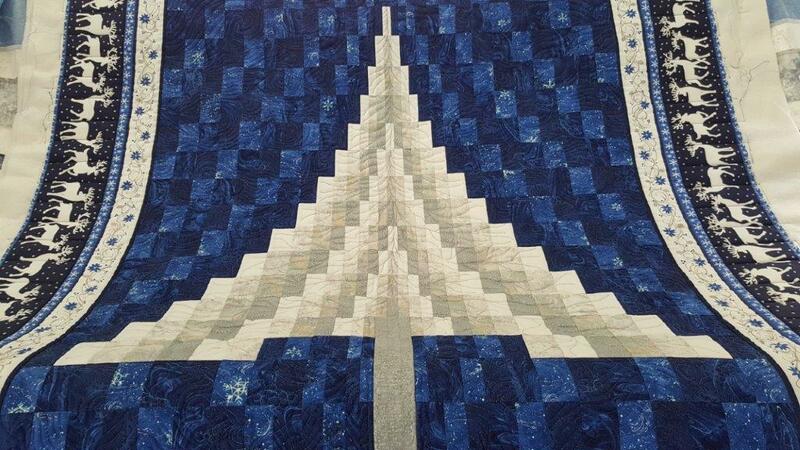 In 2013, I purchased my Innova 26″ with AutoPilot at the Paducah quilt show. 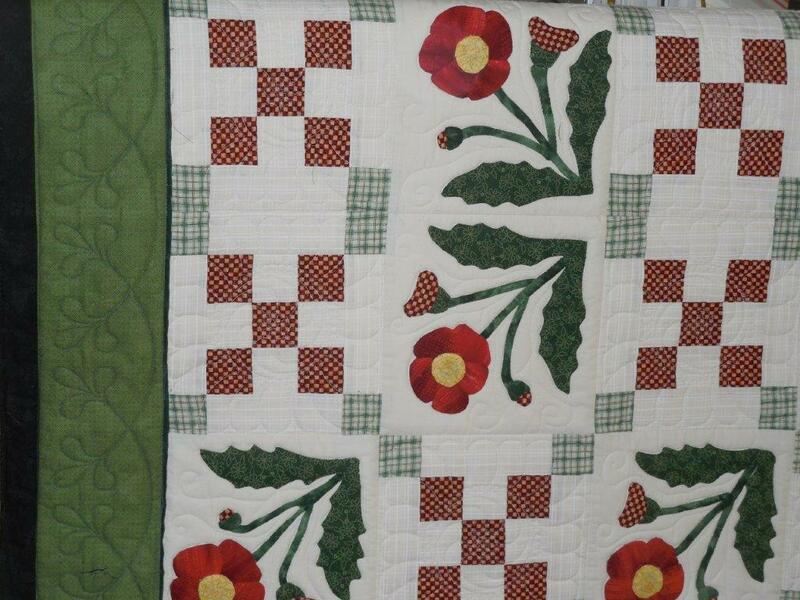 Quilts on the Ridge was formed in 2014. I offer mostly edge to edge quilting and some semi-custom work. 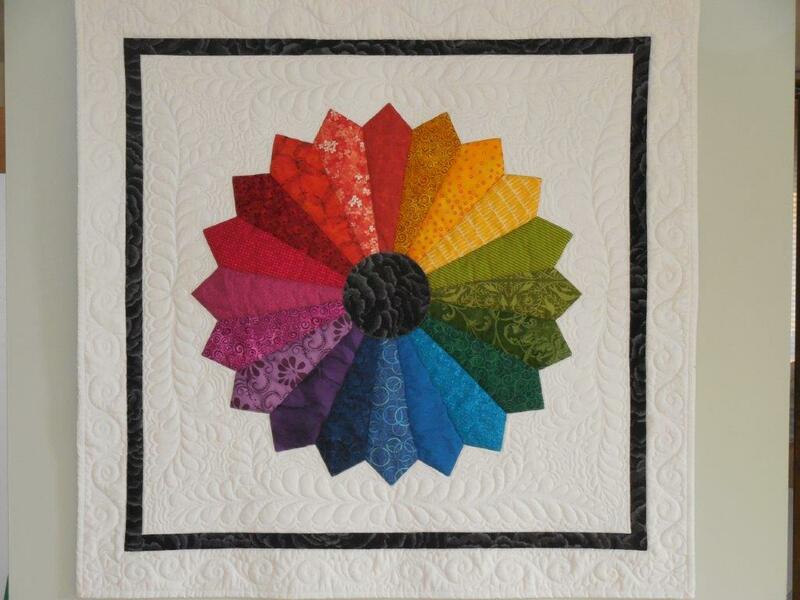 This quilt was done with custom computerized quilting in the border and pieced blocks. The applique blocks were quilted freehand. 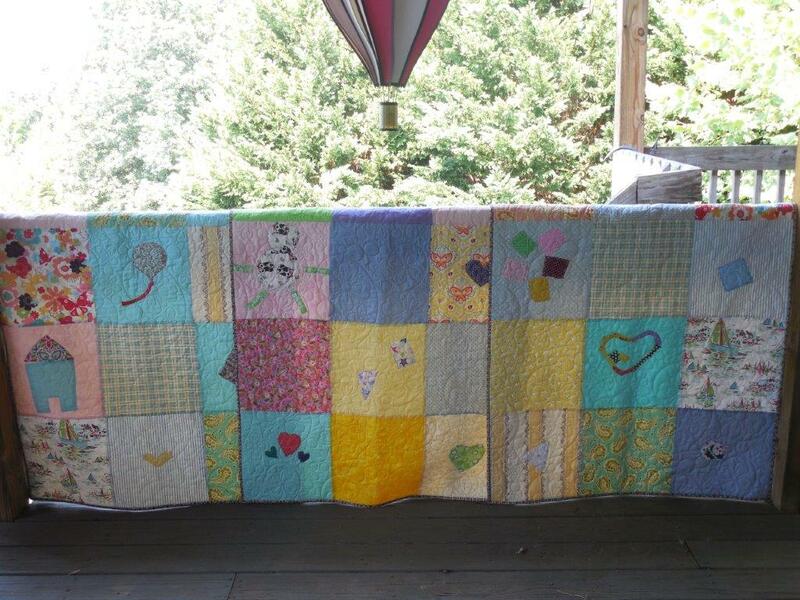 These quilts were made by young ladies at the Asheville Academy for Girls as part of their therapy. They were donated to Newborns in Need. 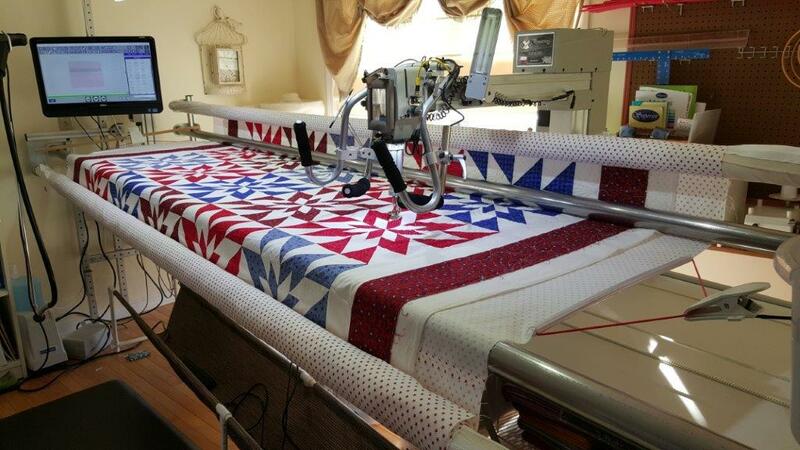 I am also a member of the Quilts of Valor foundation and quilt several quilts per year to honor our veterans. 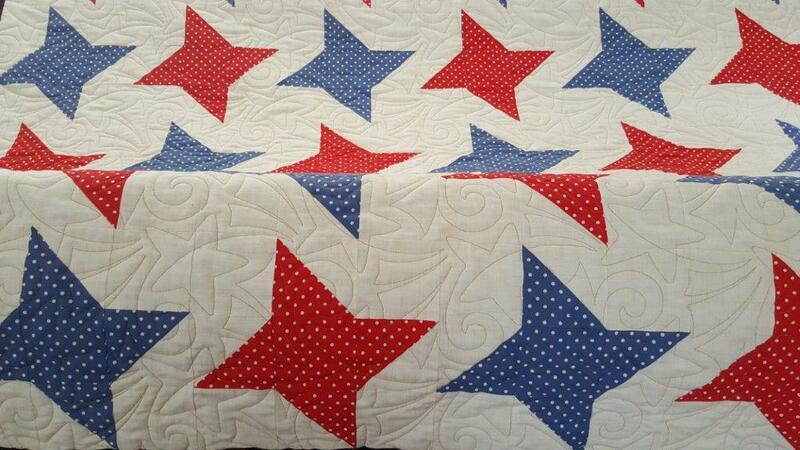 This is edge to edge quilting with a star design. 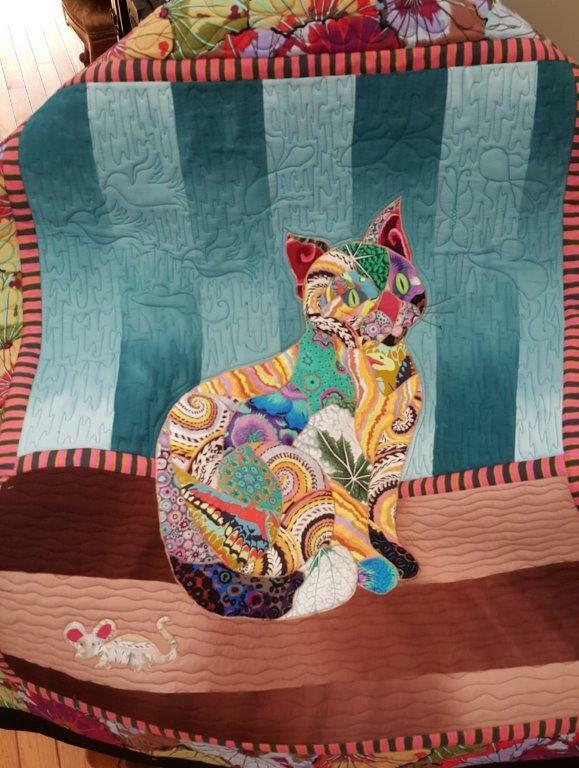 I made this quilt as a wedding gift for dear friends who are cat lovers quilted in a whimsical freehand. One is a Veterinarian & the other a RN. The kitty is dreaming of all the things she likes to chase. 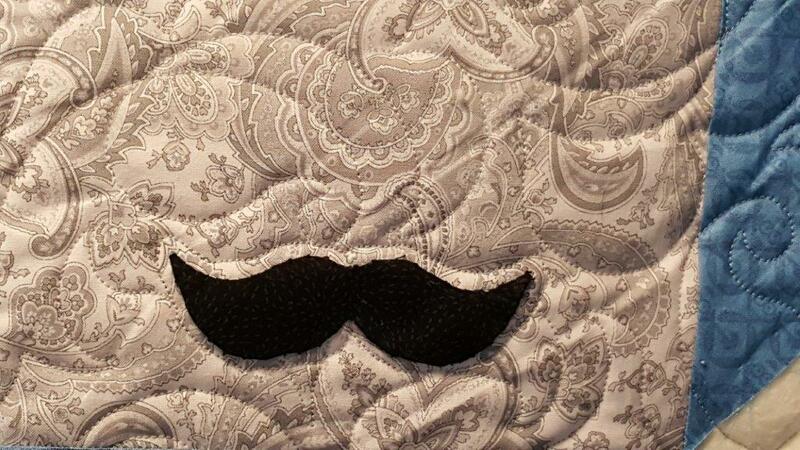 This quilt has edge to edge quilting, masking applique so it isn’t quilted through. Check out more of my work on my facebook page, facebook.com/quiltsontheridge. I’m in Marshall, and serve Marshall, Asheville, and the surrounding areas.